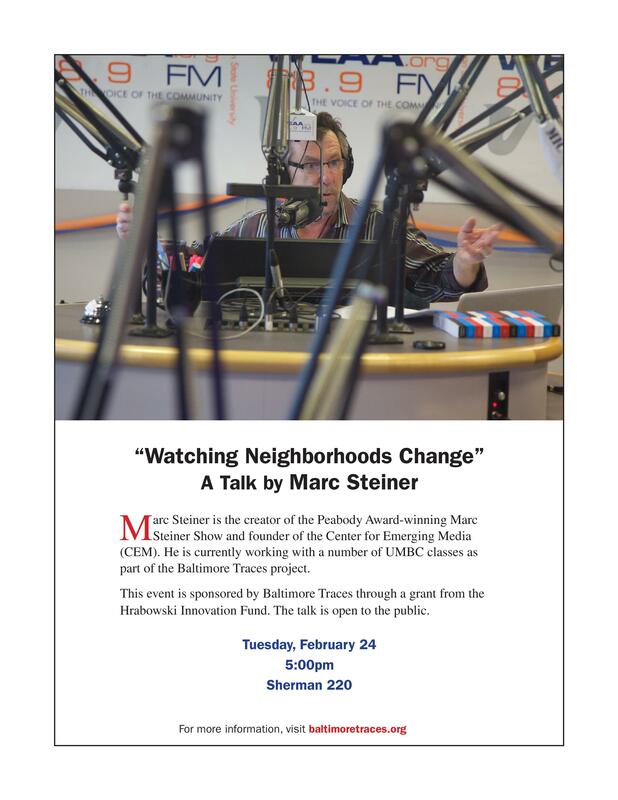 Watching Neighborhoods Change, a talk by Marc Steiner, will take place on Tuesday, February 24, 2015 at 5 p.m. in Sherman 220. Marc Steiner is the creator of the Peabody-winning Marc Steiner Show and founder of the Center for Emerging Media. He currently works with several UMBC classes as part of the Baltimore Traces project. This lecture is sponsored by Baltimore Traces through a grant from the Hrabowski Innovation Fund. Visit baltimoretraces.org for more information.